Provide your team wings at Indoor Skydive Roosendaal! Because what’s more fun than meet with your colleagues to expand your boundaries and experience the unique experience of indoor skydiving? Nothing right ?! Indoor Skydive Roosendaal offers the best business outing or team outing for you and your colleagues. You can also come to Indoor Skydive Roosendaal for team building or corporate events. Our team will be glad to help you organize a fully well-organised day! Finally, you’re also at the right place for a suitable promotional gift or for partnerships! 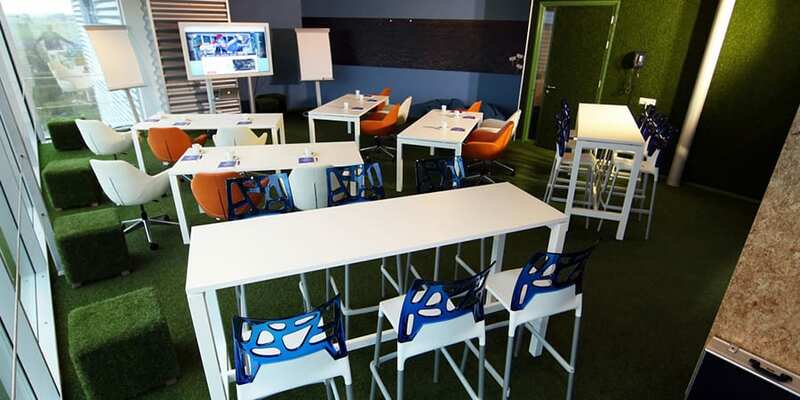 So, fly Business Class at Indoor Skydive Roosendaal and check out all our indoor skydive options for the business market. 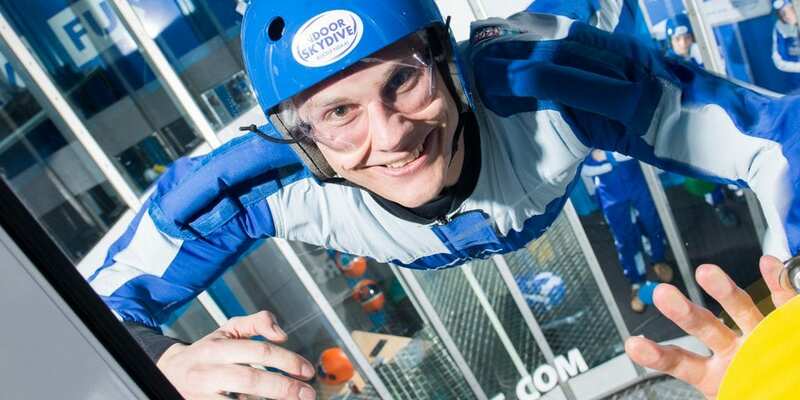 In business perspective you can go to Indoor Skydive Roosendaal for various activities. In addition to providing excellent catering and meeting facilities, our team with their many years of experience will help you in organizing a fully-fledged day. Whether it’s a team building day, meeting or a business event. We take care of the whole process: from making an extensive offer to organizing a successful event that will be discussed for a long time. Check out all our options! Are you looking for a business outing full of excitement and adventure? Come to Indoor Skydive Roosendaal and experience the most unique company outing in the Benelux. Provide your team wings! Organize the best team building event for years! Indoor Skydive Roosendaal specializes in organizing the best-rated teambuilding outings of the Benelux. Looking for the perfect location for a business event? For example, a product presentation, anniversary, relationship day or a press event? We will be happy to assist you in organizing a well-organised day! In our creative space, the ideas come true! 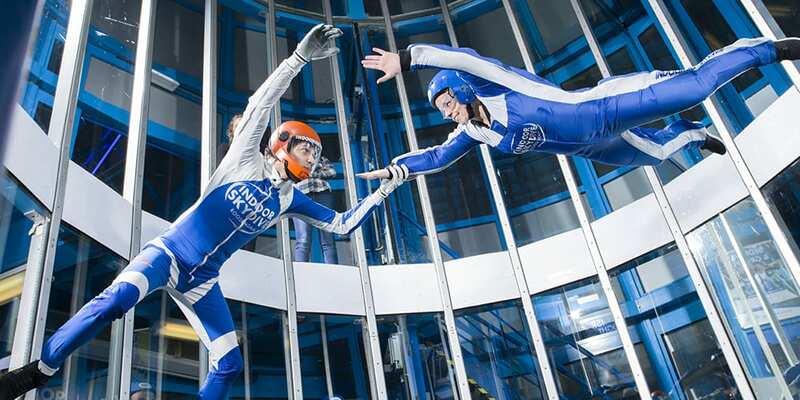 Combine a meeting or brainstorm with indoor skydiving. Surely know that this will bring fresh wind during the meeting! Leave an unforgettable impression by giving an indoor skydive gift voucher. The ultimate promotional gift that gives a huge impact! We are always open for valuable collaborations! From joint promotions to sponsorship and social media campaigns. Would you like to cooperate with us?